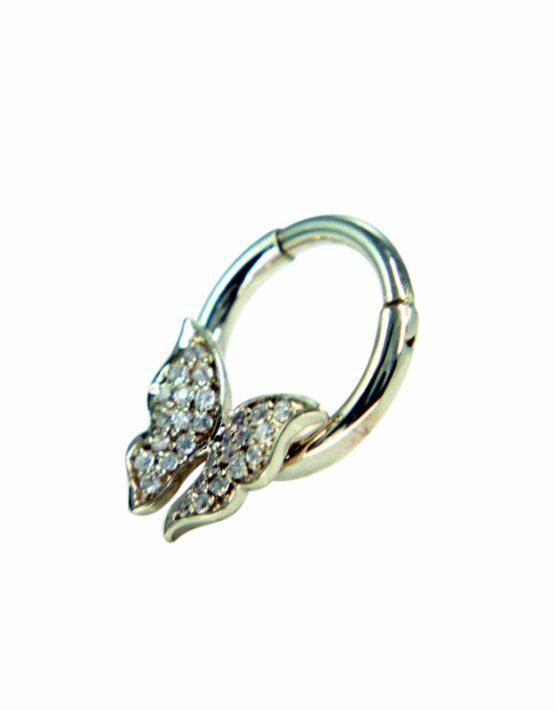 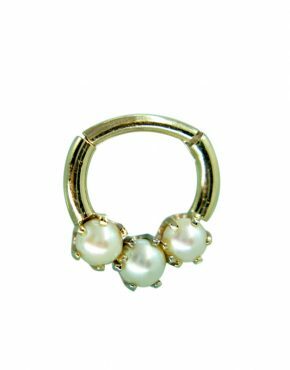 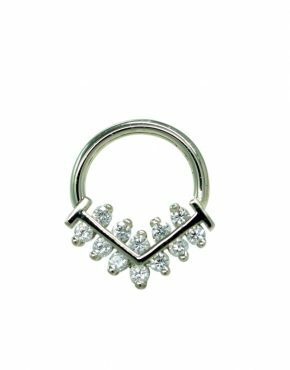 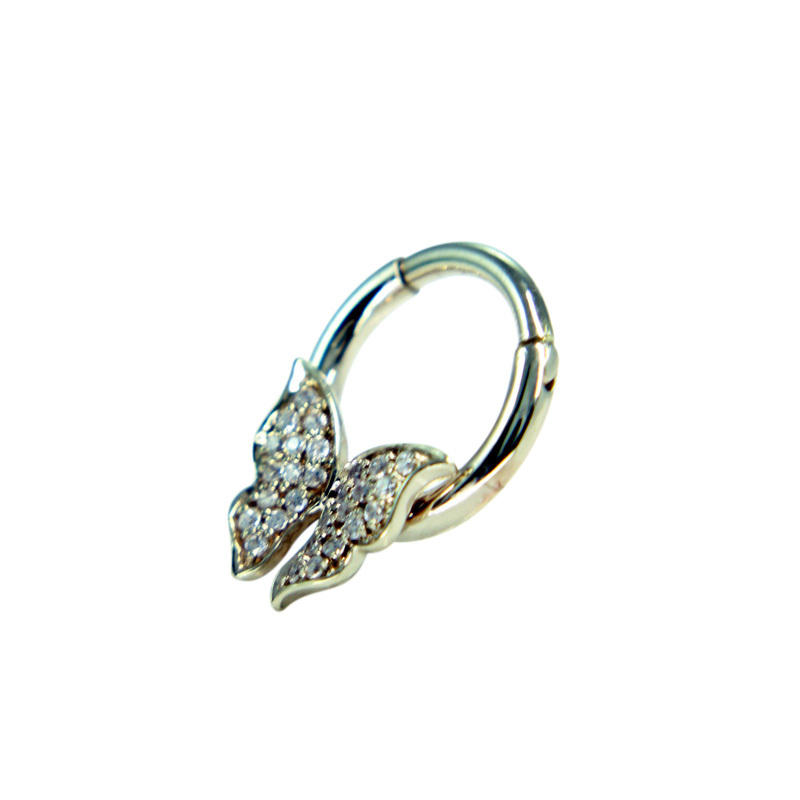 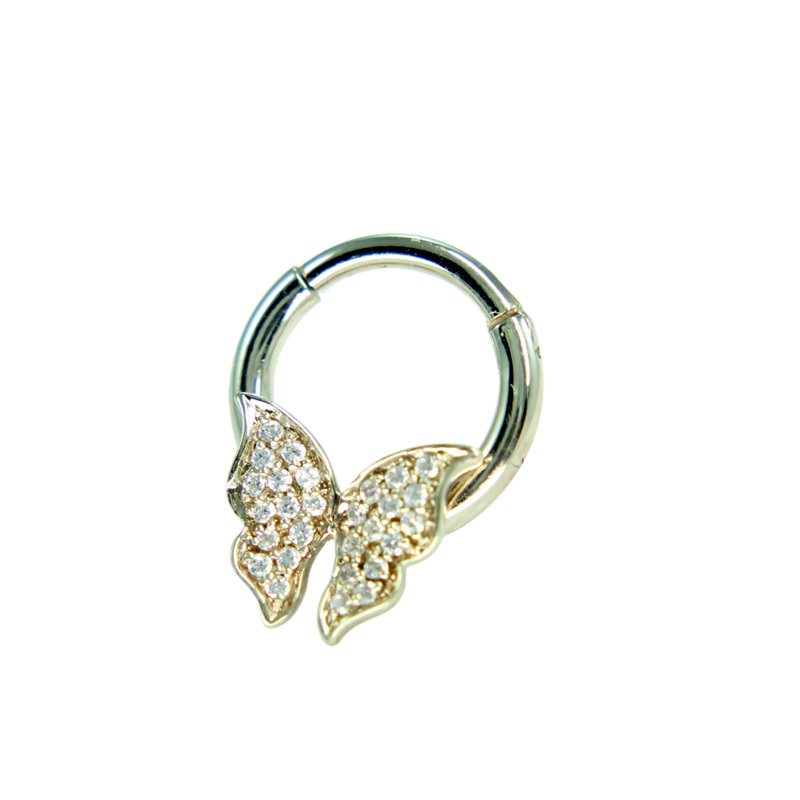 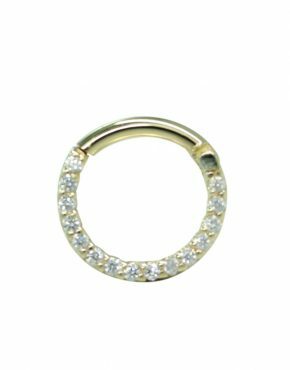 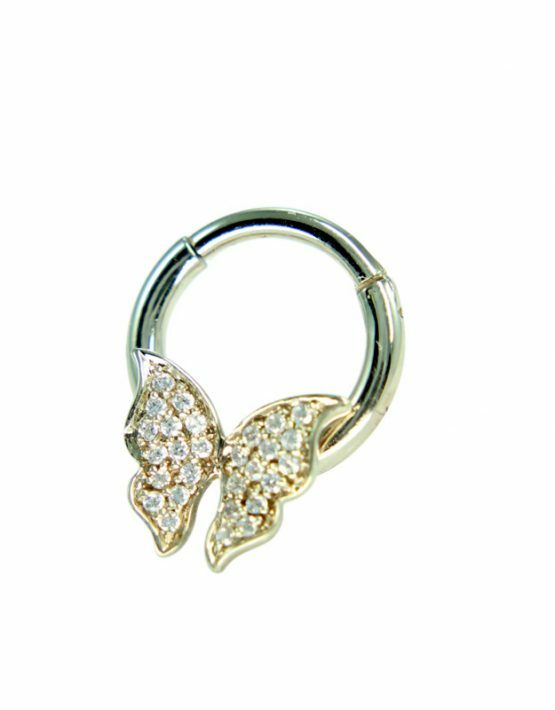 The simple butterfly septum clicker is beautifully designed for your septum. 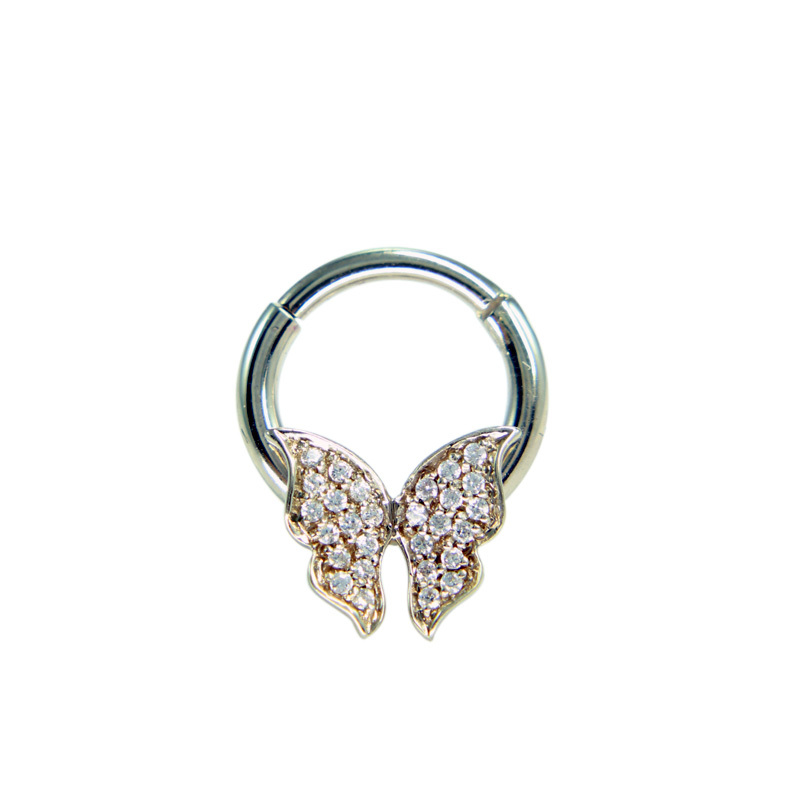 Made with a 14 gauge round body and 16 gauge hinge on barbell that makes it easy to put on and take off. 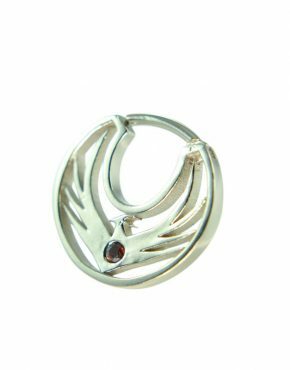 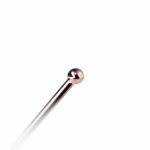 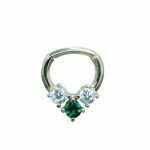 It is prong set with 0.8 custom gemstones and is designed to sit right under the nose.